At this point, their brows usually furrow and their faces darken, but for a moment. Then they smile and say, “But it’s all worth it.” I can’t help but wonder if they’re offering me reassurance or consolation of what is to come. Commuting in London can seem like an Olympic event at the best of times and when you’re carrying a large bump with you, it’s inevitable that you start to see a different side of your fellow commuters. The first thing I began to notice is how many people are preoccupied with their own thoughts as the carriage judders towards their usual station. These people clearly have a lot on their mind. These people don’t notice me at all. Then there are those who leap up with an electric shock to offer me their seat. After thanking them, as I sit down I wonder what makes them offer me a seat when none of the other passengers do. 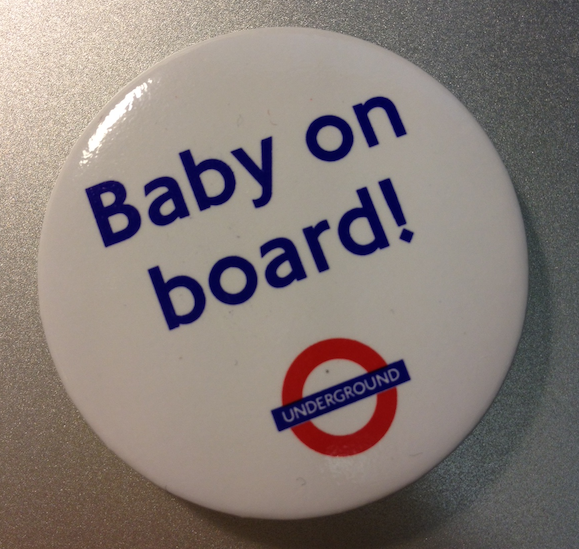 Just last week, after slipping into an empty seat on a semi-crowded train, I noticed a fellow mum-to-be. I waved and offered her my seat but she waved back to indicate that under no circumstances would she take my seat. Eventually, someone else gave up their seat for her after our brief mime exchange. To be honest, I used to be one of those people with too much on their mind to really see other people for who they are. Ever since acquiring my bump, I’ve had to slow down and it’s made more aware of others as well as myself. For instance, if you look carefully, you’ll find that London is packed full of pregnant women, going about their business like everybody else. I’ve also come to appreciate the great gift that is the offer of a seat on the crowded tube by a fellow traveller. The fact is, there’s always someone who needs that seat more than us. What small gesture of kindness can you make this Monday morning on your way to work? The entry 'Mind the Bump' was posted on September 23rd, 2012 at 5:59 pm	and last modified on October 15th, 2012 at 8:14 am, and is filed under Agile Baby, Esoteric Minutiae. You can follow any responses to this entry through the RSS 2.0 feed. You can leave a response, or trackback from your own site. This is great news!!! Best wishes to all of you!!! I did not know you were pregnant. Wahoo. And yes everything you wrote here is so true. What I will do today is to smile more.